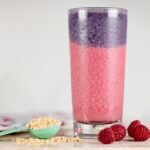 This shake is something pretty special! 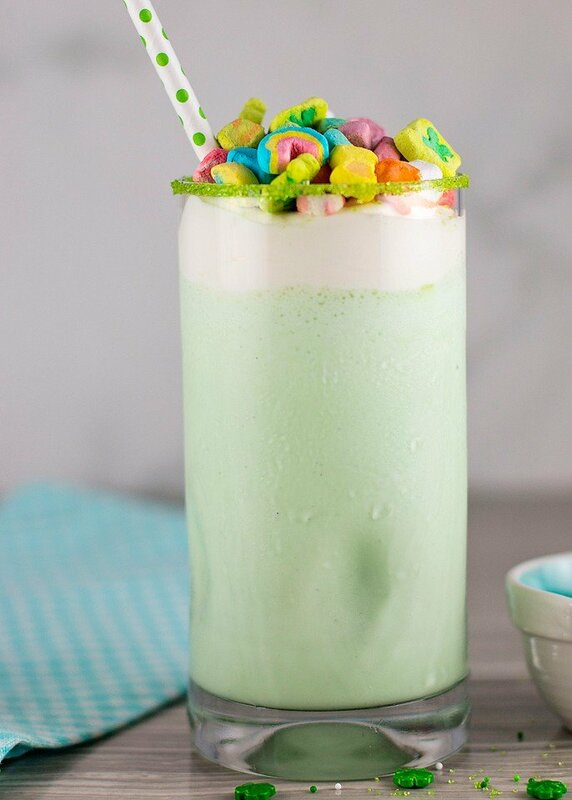 It is a shamrock shake made with Bailey’s, topped with Irish Cream infused whipped cream and crowned with some magically delicious marshmallows. Truthfully, I never had Lucky Charms cereal until I bought it recently. It wasn’t the type of cereal we ever had at home growing up. 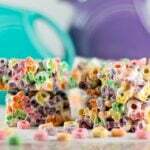 Similar to Fruit Loops and the Rainbow Dream Squares that I made, I decide to use the Lucky Charms in a fun way. It does take a bit of time to pick the marshmallows out of the cereal, but what else do you have to do with your time? 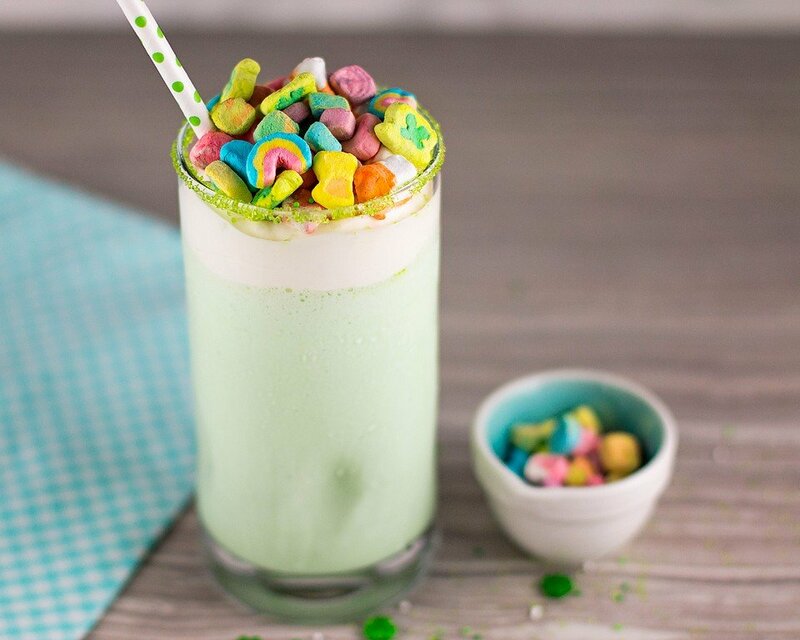 It is worth the effort because the result is this magically delicious shamrock shake! I chose a real dairy ice cream, because I prefer the taste to other ice creams. If you want a non alcoholic version, you can substitute the Bailey’s for milk and the Irish Cream for vanilla extract. They’re always after me Lucky Charms! I hope you have some fun activities planned this weekend. I am working today and then going to Jeffrey’s hockey game tonight. Have a wonderful Valentine’s weekend! 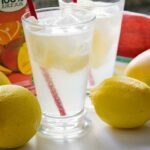 Rub the lemon wedge along the rim of the glasses. Place sprinkles on a small plate and dip rim of glass into sprinkles. Set aside. 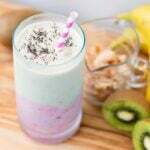 Put the ice cream, Bailey's, milk, and peppermint in a blender and blend. 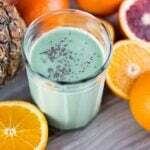 Add the green food coloring to get the preferred shade of green. In a cold metal bowl, whip the cream, Irish Cream and icing sugar together until peaks form. 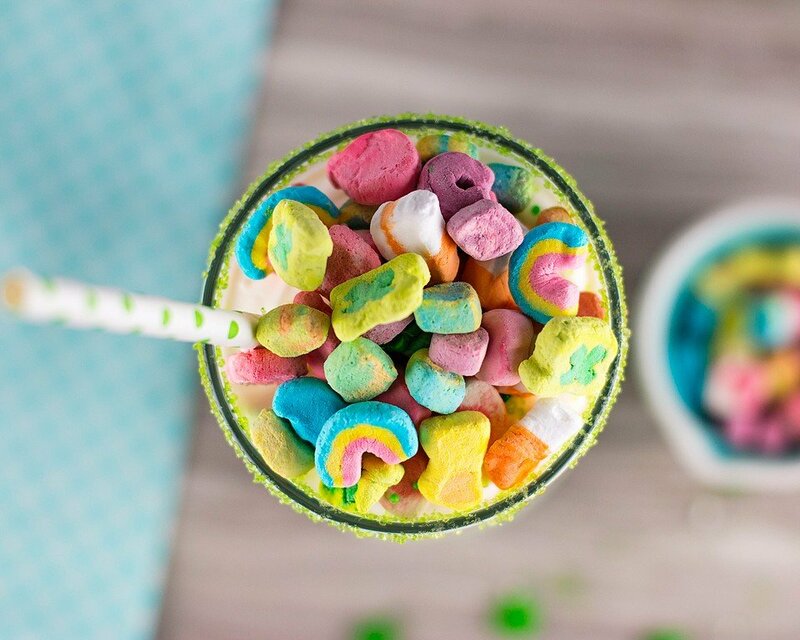 Add whipped cream to glasses, top with Lucky Charms marshmallows and sprinkles. If you want a non alcoholic version, substitute the Bailey's for milk and the Irish Cream for vanilla. 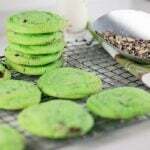 There is still time to enter for this giveaway! Lots of ways to enter. Good luck!